Earlier this month we read of the passing of one of our great scientific minds, Stephen Hawking . Stephen had the rare honour of having a physical manifestation named after him, Hawking Radiation. He had predicted in a 1975 research paper  that, contrary to popular opinion, black holes actually radiate energy and those same black holes that do not gain mass through other means will shrink and eventually disappear . 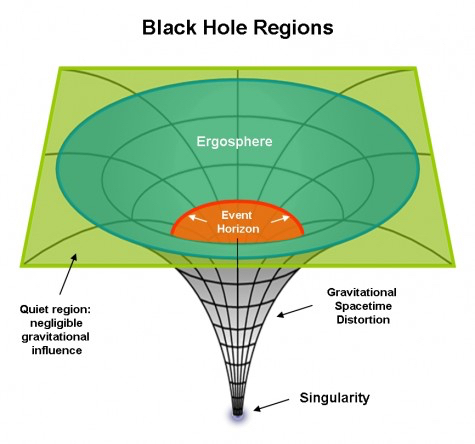 Some 40 years later in a 2015 research paper , he predicted, again contrary to common opinion, that information on the quantum state of particles falling into a black hole is not lost forever, but is stored on the boundary, the event horizon, this in a form of holography . Hawking says in his paper, “The information about the ingoing particles is returned, but in a highly scrambled, chaotic and useless form. This resolves the information paradox. For all practical purposes, however, the information is lost”. His statement leaving us with a future challenge. All this might lead us to believe that we have a quite detailed knowledge of black holes, after all our knowledge of this phenomenon stems firstly from Albert Einstein’s 1915 general theory of relativity  where he had developed a new theory of gravity , not as the force that Sir Isaac Newton had proposed, but rather as a consequence of the distortion of space-time  by an object’s mass. And further through the work of the theoretical physicist Karl Schwarzschild  in 1916, who in working on solutions to Einstein's unfinished equations, published On the Field of Gravity of a Point Mass in the Theory of Einstein , later the same year. The work became one of the pillars of modern relativistic studies . Schwarzschild had realized that the escape velocity  of any mass or particle from the surface of an object depends on both the object’s mass and its radius. But, he postulated, if nature can make the radius of the object small enough while maintaining its mass, then the escape velocity will increase until it reaches the speed of light, or 300,000 kilometers (186,000 miles) per second. When that happens neither matter nor radiation can escape from the object's surface. This radius is now known as the Schwarzschild radius. It corresponds to the radius of what we now commonly call the “event horizon” of a black hole. So back in 1916 we had our first glimpse of this amazing idea of something so small yet containing so much mass that not even light cannot escape its gravity. This, at the centre of a black hole, is now known as a gravitational singularity. After this scientists set about coming up with a theory of how a black hole might be formed, settling on the life cycle of a large star (a star many times larger than our sun). 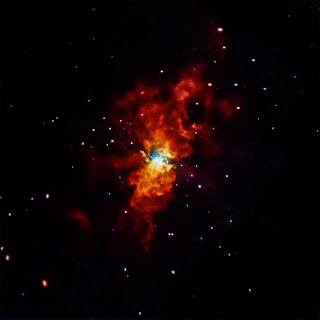 They forecast that one possible end result of the life cycle, after a tremendous explosion called a Super Nova , was the collapse of the star under its own gravity to something very small, with a mass several times that of our sun. It is worth noting that it is thought that our sun is too small to ever become a black hole and is known as a main sequence star . But we should be clear that without a detailed examination of a black hole, much of this is still conjecture or an educated guess, although some quite outstanding people have proposed these ideas and theories. 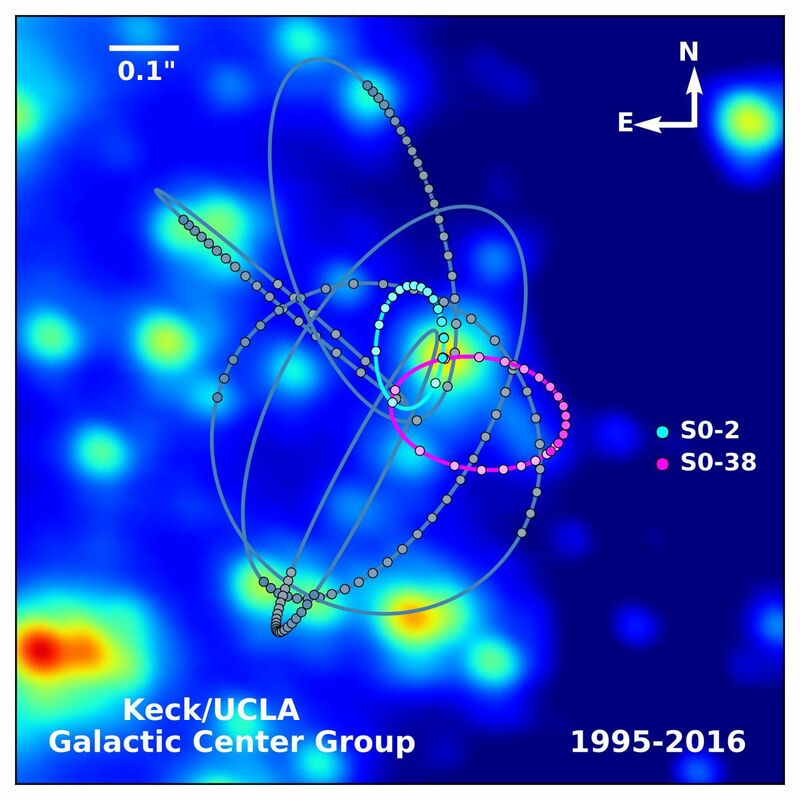 However this year, in just a few months time we may be able to carry out some detailed measurements of a very large black hole, one in our neighborhood! 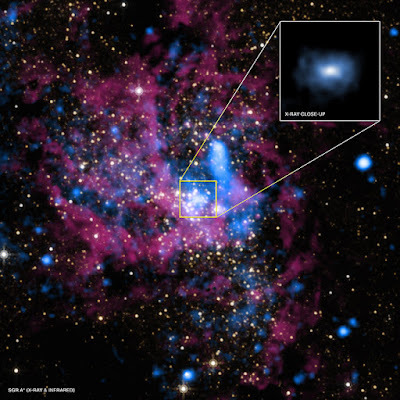 At the centre of our Galaxy, the Milky Way , there is thought to be a supermassive black hole , known as “Sagittarius A* (Sgr A*)” . The black hole is approximately 26,000 light-years  away from us. It is thought to have a mass of just over 4 million times that of our Sun; if true this would give it an event horizon radius of approximately 11.8 million km, or about 7.3 million miles. To put this into some kind of context the radius of our sun is just 695,700 km (0.69 million km) or 1/17thof the size of this black hole event horizonat the centre of our Milky Way Galaxy. Researchers are going to observe a star, S-02 , as its elliptical orbit (in light blue in Fig 6) takes it close to the black hole at the centre of our galaxy. 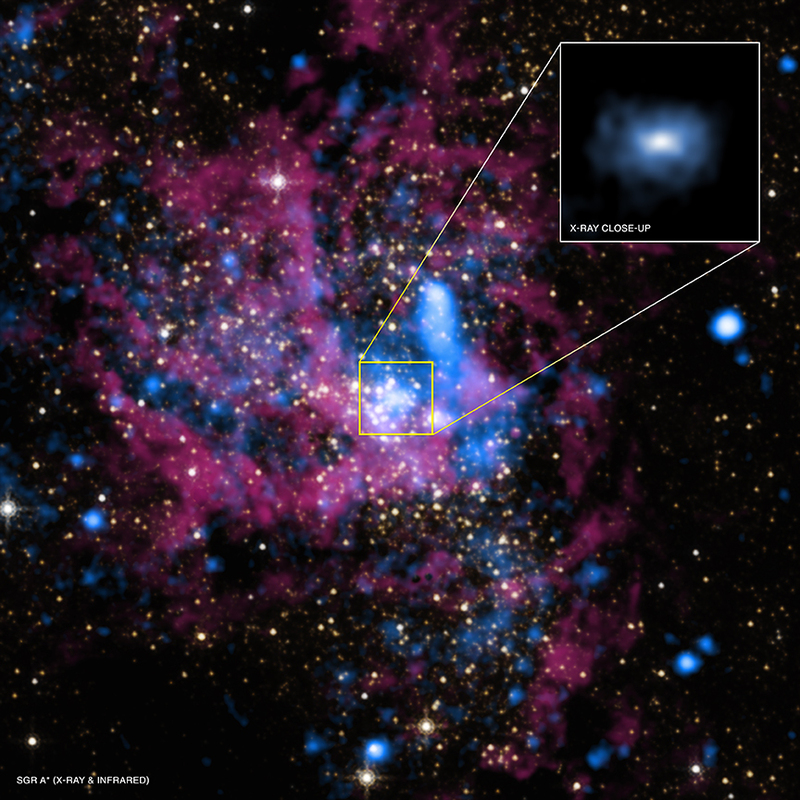 It is thought to pass within 17 light hours  of Sgr A*, a long way but close in terms of a supermassive black hole. Scientists believe that the precise mass of Sgr A* would be very useful to know, because it is thought that the formation of a central supermassive black hole and its surrounding galaxy are tied closely together. Through the formula produced by Schwarzschild [formulae, b] we can calculate the mass of the black hole, if we know the radius of the event horizon. However measuring the diameter/radius of the black hole event horizon accurately is made harder as any light coming from outside/behind this black hole in space will be subject to gravitational lensing . 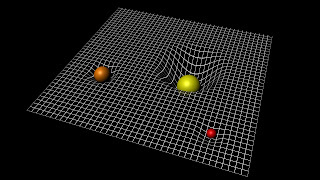 This is where light passing an object with enormous gravity is bent. Classical physics predicted the bending of light, under Newton's corpuscular theory, where light was supposed to consist of rapidly moving corpuscles with mass . But Einstein’s general theory of relativity predicts the bending is greater, in fact twice that predicted by Newton . Einstein’s view was confirmed by the observations made by Arthur Eddington and Frank Watson Dyson in 1919 on light from distant stars being curved by a large mass, the sun. However observing this event should allow physicists to further verify Einstein’s view, this time in the extreme case of the gravity of a black hole. 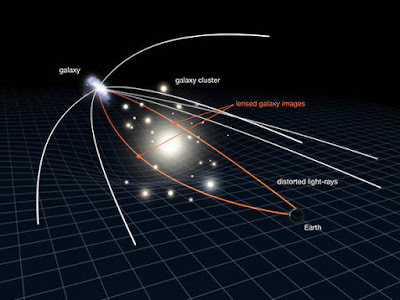 Under the extreme gravity of a black hole Einstein also predicted that light leaving its vicinity, in this case from the star S-02, would be slowed. This is known as a “gravitational red shift” . This effect is not the same as conventional red shift , i.e. that which is observed when we see the light from a star that is moving away from us. Of course the groundbreaking measurement of gravitational waves in September 2015  was another link between Einstein’s work and black holes. It is thought that the waves measured in 2015 had been the result of two black holes colliding, after being locked in a spiral falling towards one another and then finally colliding, some 1.3 billion years ago. The waves produced were a positive confirmation of an Albert Einstein 1916 prediction . As a physicist friend of mine said recently in relation to these new scheduled summer experiments, “large scale measurements would provide information about the mass and angular momentum distributions of black holes, which would provide a pretty rigorous test of theories in cosmology” . So, if all goes well, this summer scientists will not only know more about the black hole at the centre of our galaxy but they will also be able to confirm predictions made by Albert Einstein. And they should start to clarify theories about the creation of our galaxy and the events at the very early stages of our universe, thus giving us more information about where we come from. a. 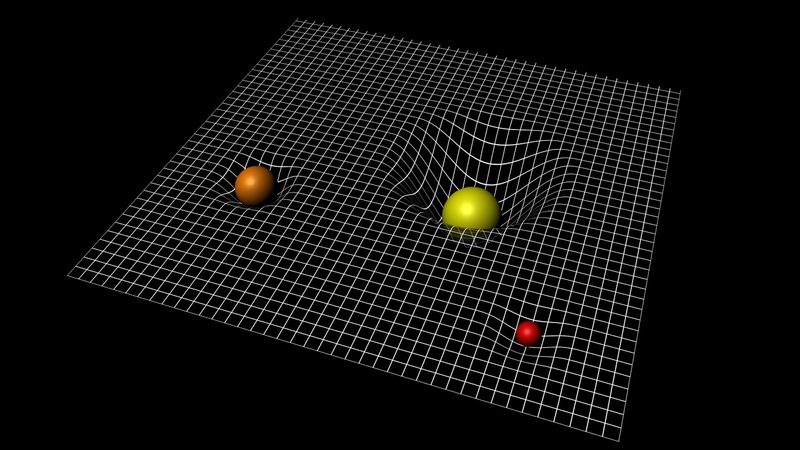 Escape Velocity - ve= √(2GM/r), where G is the gravitational constant, M is the object's mass, and r is its radius. b. Black hole mass - Calculated from the event horizon radius (assuming a non-rotating, spherically symmetric body) using an transformation of the Schwarzschild radius formula - rs= 2MG/c2, where c is the speed of light and G is the gravitational constant.